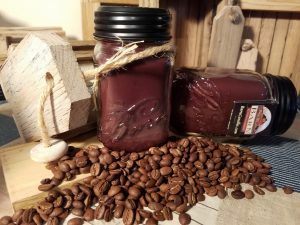 Their signature Barn Candles are hand-poured in reusable mason jars – complete with a matchbook attached! This line is offered in pint and half-pint candles, which you’ll see at their website. 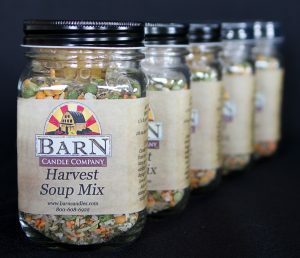 Harvest Soup mix, a dry blend of seasonings, beef broth, lentils, split peas, pasta and barley is also packaged in our signature Pint mason jar, for great gift giving. Come visit Barn Candle Company at 2665 N. Highland Road, Hastings; just one mile west and one mile north of the Hastings Airport; or see the complete line of products available at www.BarnCandles.com. 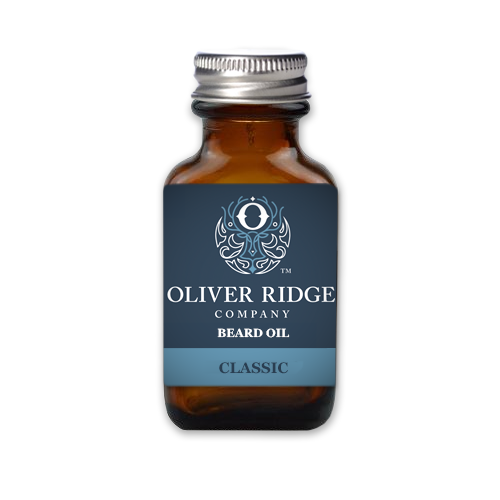 You’ll hear the term “small batch” frequently these days, but Oliver Ridge truly personifies the concept. 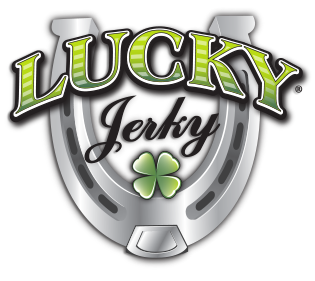 Ingredients are exclusively sourced in the United States, and each of their products is typically produced in batches of 100 or less, with meticulous focus on quality and user experience. You can purchase the beard oils directly from their website (free shipping is available), and be sure to stay tuned … numerous products are in the development stage! Fine small batch products for men from the Oliver Ridge Company – treat yourself to the very best. 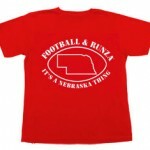 A wonderful Made in Nebraska gift idea too! It’s the JellyDish Garlic Peeler – it totally takes the hassle out of peeling garlic! Recently, Larry Owens, the owner of a Nebraska based business (Concentric Communications) got in touch with us. His company just introduced a handy small kitchen gadget that looks like a small crystal jelly dish but is made from flexible, squishy FDA grade material. It peels the skin off a garlic clove in seconds. Just place a garlic clove in the JellyDish and pinch the bowl around the clove. Give it a twist with your fingers and the friction peels off all the pesky skins in a flash. Simply remove the peeled garlic clove and continue your meal preparation – all the skins from the clove stay within the JellyDish. 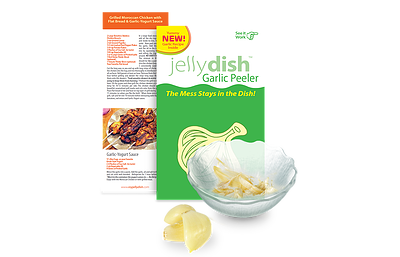 The JellyDish Garlic Peeler is easy to clean too … just snap the skins off into the garbage and rinse with soapy water – it’s ready to use again for your next meal! Larry was kind enough to send us a sample, and we love it … we use a lot of garlic and this ingenious little gadget saves us time and frustration. 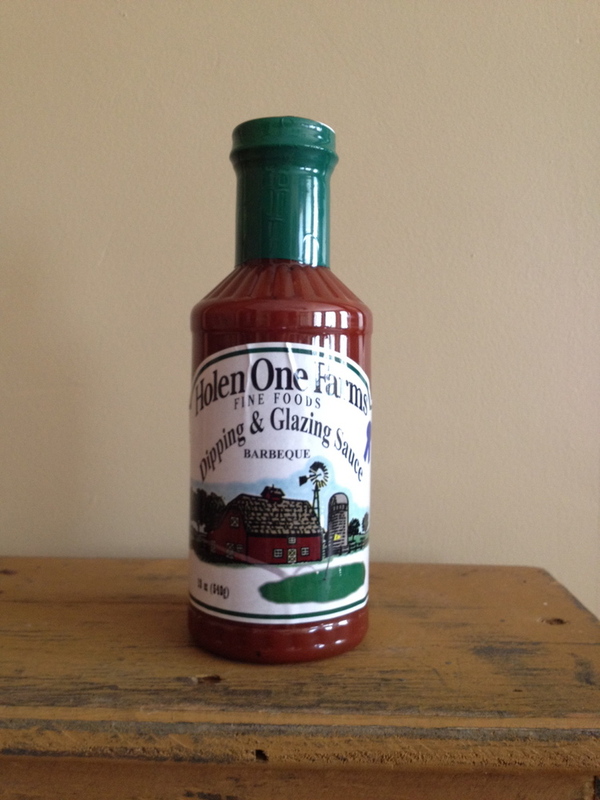 It’s made in Nebraska and is a perfect stocking stuffer for the foodie on your list. Anyone who likes to cook will appreciate owning the JellyDish Garlic Peeler – it works for seeds and nuts too! JellyDish Garlic Peeler is available in stores in the Lincoln & Omaha area as well as online at MyJellyDish.com where you’ll also find great recipes calling for fresh garlic. Wholesale inquiries are welcomed – every chef or cook (amateur or pro) needs one of these! 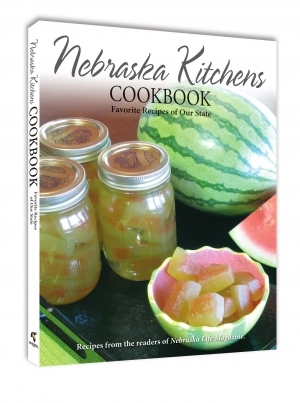 The set, available singularly or as a twosome, is titled Nebraska Kitchens Cookbook. 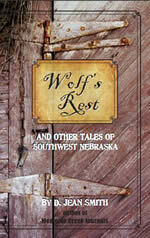 The first volume features over 130 recipes Nebraskans know and love, and the second volume adds to the lore. We understand there will be a Volume III out in the near future! The books are available (along with many other Cornhusker State themed publications, via the link to the Nebraska Life online store listed above. A state themed cookbook is one of the best gifts you can give to someone who holds a strong feeling toward a particular place, whether they enjoy cooking or not. If they don’t, this two volume set will get them in the mood! In business for almost 100 years, the bakery ships holiday fruit cakes all across the country along with their specialty liquor cakes like their spectacular Chocolate Rum Dessert Cake. It’s one of many one of a kind items you can order directly at the Beatrice Bakery website and guaranteed to make any occasion special. 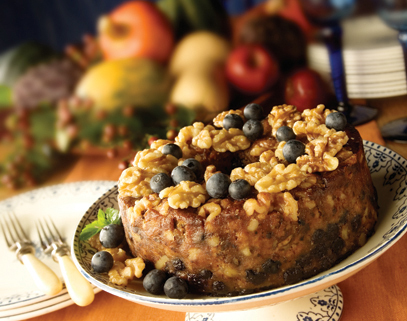 We’ve long been fans of their Fruit Cakes and Apple Cinnamon Nut Cakes – perfect for holidays or any time of the year. They make great gifts and are sure to be appreciated! Nebraska Life Magazine: Are you looking for an economical and sure to be appreciated gift from The Cornhusker State? 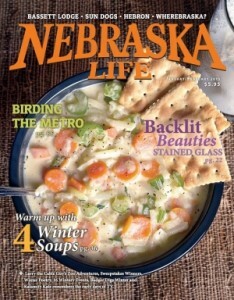 Consider a yearly subscription to the state’s premier lifestyle and local features publication, Nebraska Life Magazine .. Published six times yearly Nebraska Life’s issues spotlight the state’s food and dining scene, travel, culture, and the interesting people who keep Nebraska moving. A great choice as a gift for anyone who loves the state, it’s the perfect way to stay in touch if you’re a snowbird, occasional visitor, or former resident. And if you’re a Nebraska native, you’ll discover new and interesting stories about your home state in every issue! Omaha is a steak town, and a mile or so south of the Old Market District is one of the city’s legendary steakhouses. 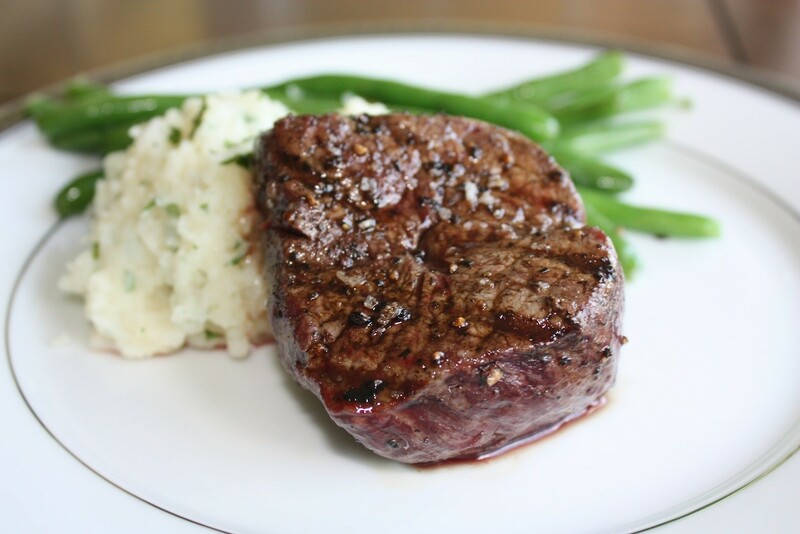 It’s Johnny’s Cafe, an old school steakhouse with an unpretentious atmosphere, perfectly grilled Angus steaks, and great drinks. They also make a fantastic house vinaigrette salad dressing, and it’s available at their online store. Each bottle is filled and packaged by hand and it’s a classic gift from Omaha. Visit the Johnny’s Cafe website and click on their “Store” tab. Better still, stop by when you’re in town, you’ll love it! The company is well known for their cheese nuggets (think curds) as well as specialty varieties like Smoked Bacon, Spinach & Artichoke, Havarti, and many more. 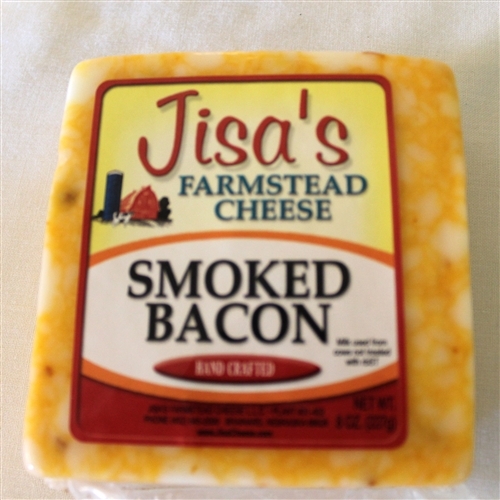 You’ll find their cheese in many larger grocery stores across the country as well as online at the Grow Nebraska Jisa Cheese page. Enjoy the fresh flavor of Nebraska made cheese! Udderly Naked Goat Milk Soap is available in a variety of styles and scents. Apple Cider, Cocoamint, and Lavender a just a few you’ll find at their website. They also carry hard to find goat milk shampoo bars – check out their Luxurious Locks bar! Natural shampoo bars are so much better for your hair than regular shampoo, especially bars made with goat milk. Itchy scalp, dandruff, and brittle hair will be a thing of the past, and using a goat milk shampoo bar can even help with hair loss. Try it and see! Udderly Naked also makes lotions, lip balms, and convenient gift sets. The gift sets are arranged by price so you can easily budget your spending! Click through to their website to see all the cool goat milk products and meet their goats! At their website, you’ll see a recipe for Renee’s Sunday Meatloaf. We tinkered with it a little bit by adding some ground pork to the mix and per the instructions used almost a cup of Holen One BBQ Dipping & Glazing Sauce on top. Outstanding! 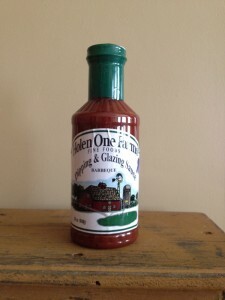 Click through to their site to learn more and to order some authentic Nebraska barbecue sauce! If you’re looking for an exceptional holiday gift, consider one of the Nebraska Star Beef special packages. Among them are their Premium Ribeye Package, the Natural Angus Steak Sampler, and the Ultimate Chili Package. If someone on your list enjoys grilling (or eating!) 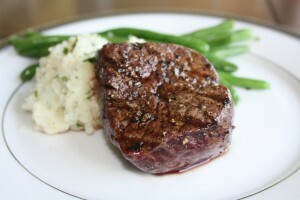 and appreciates top quality Midwestern beef, you won’t go wrong with any of the packs you’ll find at their website. 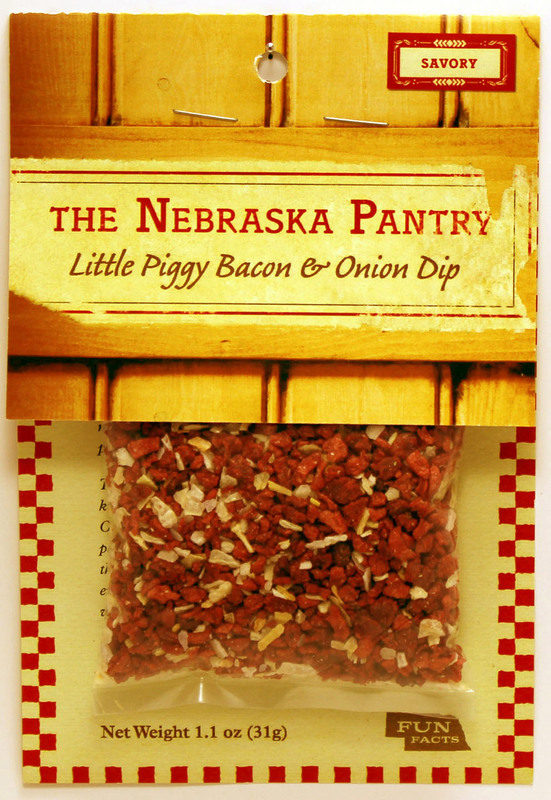 If you live in Nebraska, you’ll find Nebraska Pantry dip mixes available at specialty and gift shops across the state – a list is available on their website at the “Our Stores” page. Or, simply order via their online shopping cart! Sweets By Suzanne: Sue Kemp of Lincoln is a career educator who began making toffee to give as holiday gifts when she was a student teacher. Continuing her toffee giving tradition throughout her career led to compliments and accolades on the toffee’s quality, which resonated with Sue. A few years ago, she was inspired to start a side business and as a result, Sweets By Suzanne was born! If you live in Lincoln, Sweets By Suzanne offers free delivery within the city. 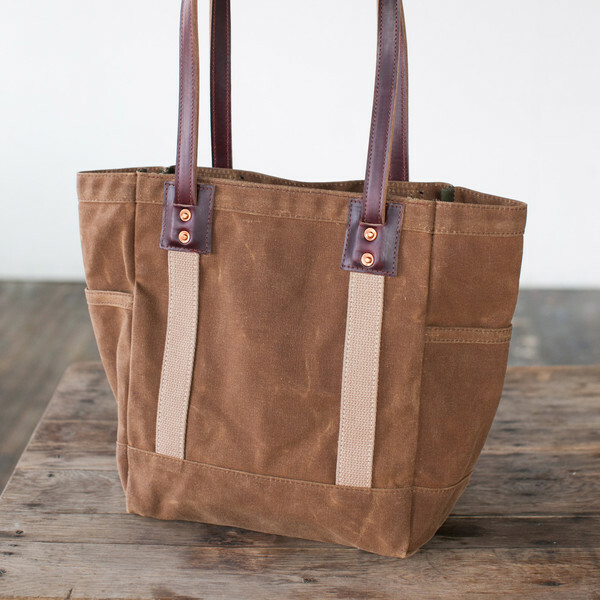 But if you live farther afield you can order directly on their website and have it shipped to your door. 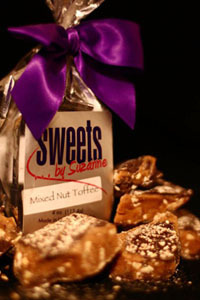 Toffee (and brittle) make wonderful holiday gifts, or any time of year for that matter! Their 100% whole grain wheat snacks are called WheatBursts … they’re made from the berry of the wheat stalk and are lightly toasted and salted. You can enjoy them right out of the bag or as a crunchy topping for salads or wraps. A very healthy snack, WheatBursts are packed with whole grain goodness! Monument Foods makes WheatBursts in several varieties using different grain types – both spelt and Kamut WheatBursts are available, as well as a sweet variety made with a kiss of brown sugar and a Trail Mix with WheatBursts and other wholesome ingredients. Flavored wheat berry salad toppings are also available. You can order any of their products directly from their website – a unique good-for-you taste treat from The Cornhusker State! Rafter 7S creates eight pepper jellies, ranging from Raspberry Jalapeno to Blackberry Habanero with many in between. All the fruit and peppers are locally grown, which is also the case with their line of fruit jellies. 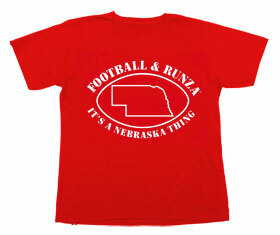 Some of these are closely aligned with Nebraska and make a great state themed gift. Choose from Sandcherry, Wild Plum, Chokecherry, Autumn Apple, and Sandhills Cowboy Jelly which offers a mix of wild plums and chokecherries. Sound good? You bet it does, and none of Rafter 7S jellies contain preservatives or corn syrup … just the natural goodness of the fruit! The company also makes glazes, fruit syrups, baking mix, and gift baskets. You can’t get any more authentic Nebraska than this! Click through to their site to see all their products and to order. Oh by the way, about that Rafter 7S name … it’s the brand used for their cattle! Heartland Gourmet: Lincoln, NE is one of the coolest little Midwestern cities we’ve had the pleasure to visit. About 50 minutes from Omaha, it’s home to the legendary main University of Nebraska campus and serves as state capital. Lincoln really lights up on home football weekends, but any time is a great time to visit the city. There are some fun, casual restaurants here, lots of vibrant night spots (or happy hour spots if you’re around our age! 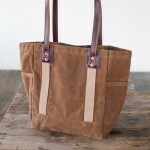 ), and plenty of opportunities for shopping and strolling. 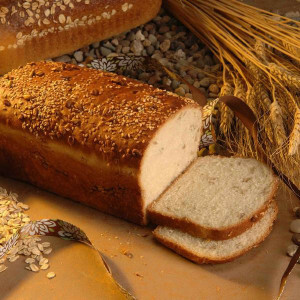 It’s their Organic Ten Grain Bread Mix, a finished loaf of the bread is shown. Simply put, this is one of the best breads we’ve ever had, and it’s easy to make. Whether you use a conventional oven like we did or a bread machine, this mix will turn out one healthy, tasty loaf of bread. There’s no cholesterol, no additives, no artificial flavor, and it makes a hefty 1 1/2 pound loaf. Of course, the company makes all kinds of other mixes and they private label and have some cute gift items available on their site. You can even buy mixes for homemade dog and cat treats! Check them out to see all they have to offer. Direct from Lincoln! Since 1953, the Vetter family farm has followed organic farming practices and was one of the pioneers of the organic movement – their farm was certified organic in 1978. 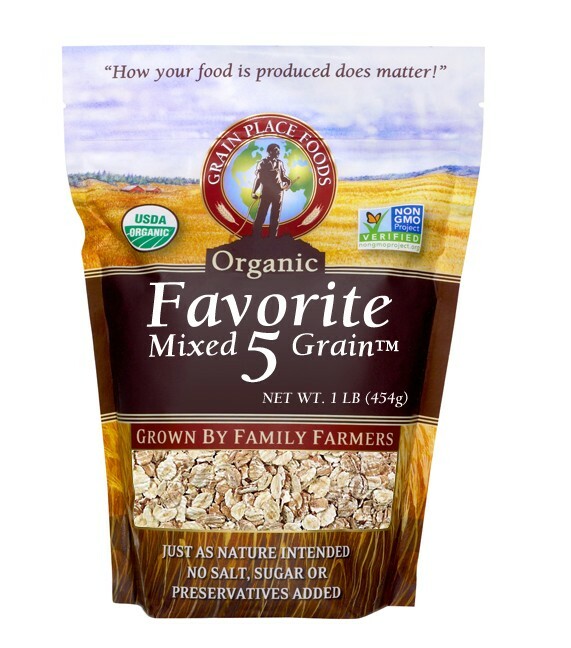 Now known as Grain Place Foods, they’ve grown into grain processors for small scale organic farms and remain leaders in their pursuit of organic farming methods. 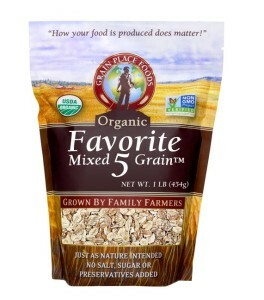 As one of the leading Midwest suppliers of organic grain products, Grain Place Foods offers barley, brown rice, cane sugar, oats, rye, popcorn, and more. One of their intriguing ready to eat products is a breakfast cereal known as Organic Favorite Five. This low fat high protein cereal is a wholesome blend of oats, barley, wheat, rye, and sesame seeds. A great way to start your day! 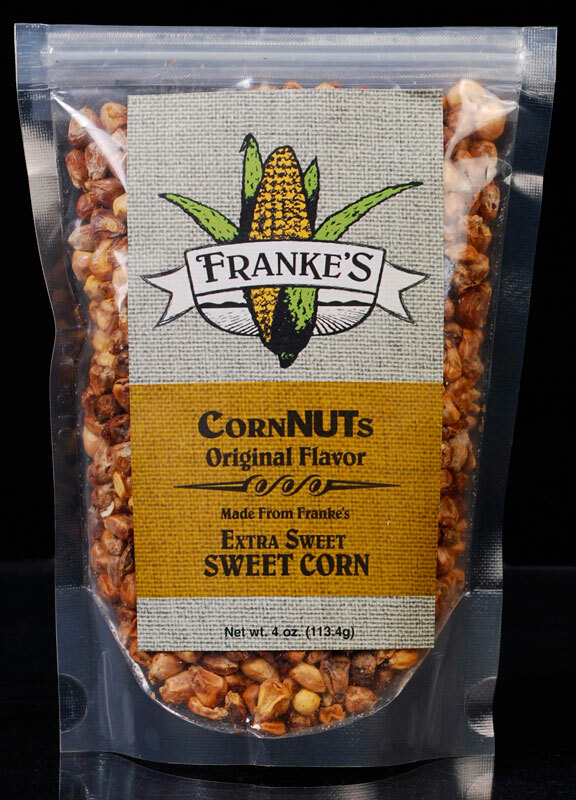 One of Franke’s products we found especially interesting is their packaged whole grain kernels of their extra sweet corn. They’re particularly handy for any of your recipes like stews, casseroles, or for use in making a batch of corn nuts (recipe included). Add them to any soup for a special treat! 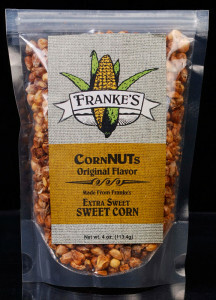 Franke’s Sweet Corn also makes corn meal and sorghum mix, both of which are ideal as a standard baking mix or coating for chicken, fish, wild game, or any other type of meat. A very authentic central Nebraska gift idea for yourself or anyone on your list! Double K Popcorn produces both kernel and microwave popcorn in three distinct styles. First there’s yellow butterfly popcorn, which is what you’ll normally find at movie theaters. Then there’s natural white popcorn, a softer variety with less hulls (so you get less stuck in your teeth! ), and finally a variety we’ve never experienced called yellow mushroom popcorn. 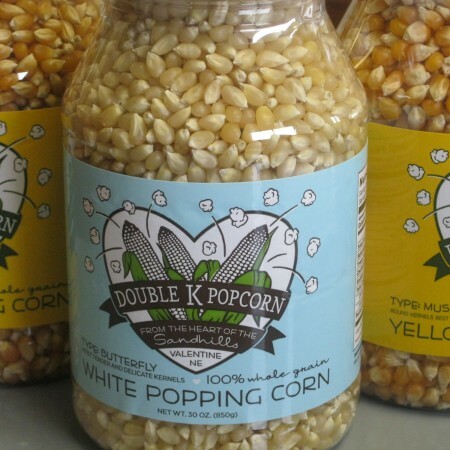 Popcorn is a great gift, and you can order from Double K by the jar or in microwave packs. We recommend the Combo Pack which offers one jar of each of the three styles! In addition to their many flavors of ready to eat and microwave popcorn, we’d like to call your attention to popcorn seasonings from Preferred Popcorn. Using seasoning on popcorn as opposed to drenching it in butter is a much healthier option, while adding a unique flavor dimension. Choose from Ranch, Nacho Cheddar, Cheesy Jalapeno, Buffalo Wing, Cajun, and Caramel. We’d bet you can think of other culinary creations to sprinkle these seasonings on as well! 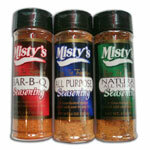 You can order these seasonings directly from the Preferred Popcorn site. Put your favorite movie into the DVD player and enjoy! Do You Like It Hot? Try Volcanic Dust! 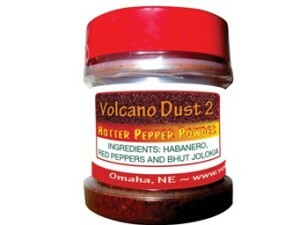 Volcano Dust is a blend of dried and smoked peppers you’d use out of a shaker like any other spice. 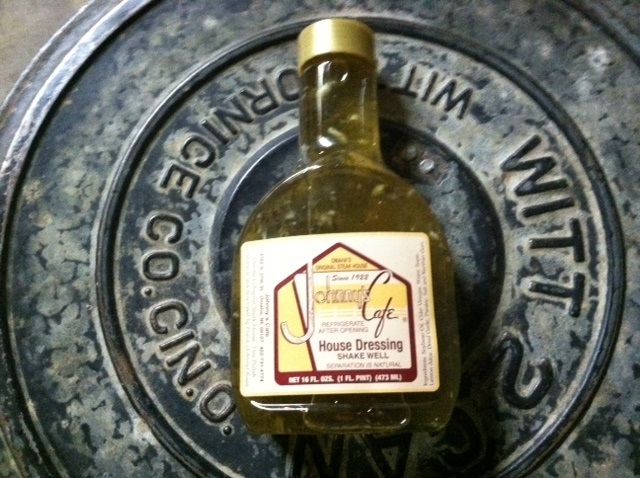 You can add it to any dish needing a jolt of heat and flavor, from eggs at breakfast to stews for dinner. Volcano Dust comes in three different levels, each a progressively higher “heat”. Pictured is Level Two, which adds a bit of ghost peppers along with four other hot peppers to the habanero flavor you’ll experience with Level One. Level Three is hotter still, a great gift for those who like it really hot! 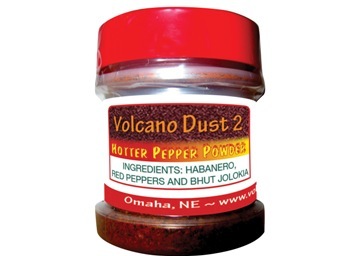 Check out their online store to see all the interesting pepper based products they’re creating at Volcanic Peppers. An ideal foodie gift from Nebraska! We asked if she’d ever been to Misty’s Steakhouse and Brewery, a downtown Lincoln legend and one of our favorite places in town. She replied indeed she had, and remarked “I love their seasonings!” … which reminded us they needed to be featured here! Click through to their website to order. A really cool gift for anyone who likes to cook or anyone who’s a Cornhusker fan! Chili Dawg’s also makes five different seasonings, available in single containers or in mixed six packs. 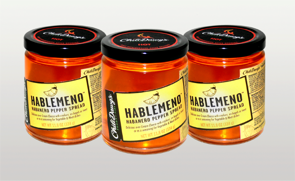 Choose from green chile, cayenne, chipotle, jalapeno, and of course habanero. Dawghouse Fiery Beef Jerky and additional spreads are also available. Be sure to look at their gift packages which include a mixture of spreads and seasonings in a variety of sizes … enjoy the heat from Nebraska! 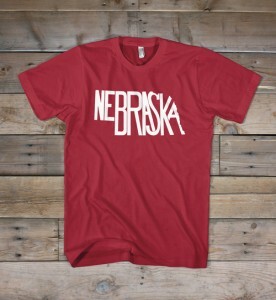 The Stately Shirt Company: Take a look at that Nebraska shirt, is that cool or what? 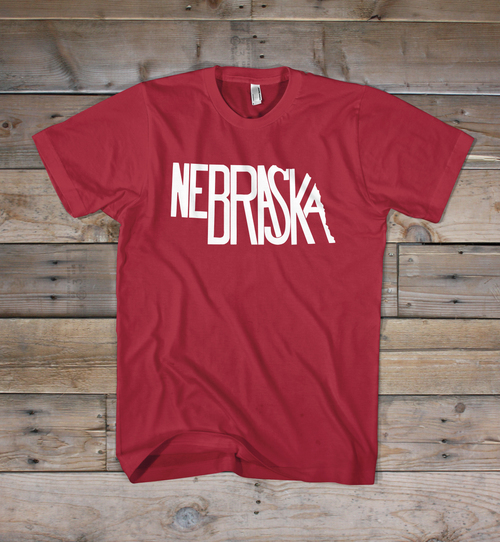 As you can tell from the Nebraska shirt, the state name is spelled out in accordance with its geographical shape … a clever idea! The Stately Shirt Company also offers state decals with similar designs to their shirts and are developing a City Collection as well (there’s an Omaha decal available for you Nebraska folks!). 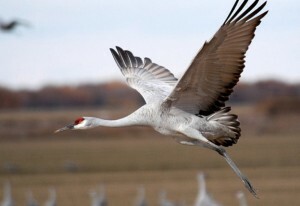 The Crane Trust is an organization dedicated to protecting and enhancing the migratory habitat for whooping cranes, sandhill cranes, and other birds along the Platte River in central Nebraska. From mid February to early April each year, cranes stop along the Platte River near Kearney during their migration north. Hundreds of thousands of sandhill cranes stop here every year, as do other migratory birds. The Crane Trust helps manage the habitat for these birds and works to prevent invasive plant species that would alter the habitat. You can support the Crane Trust via your donation or as a gift. Spread Secret Seasoning on a loaf of french bread that’s cut in half, layer cheese on top and than bake in the oven (or toaster oven). You’ve got an ideal substitute for garlic bread – perfect with any meal or just by itself! 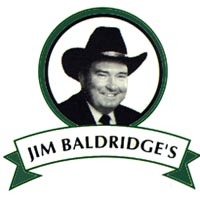 You can order Baldridge’s Secret Seasoning in 4.7 or 12 oz. bottles, or better yet, get yourself a case or send it as a gift … and enjoy the taste of the Cornhusker State! And don’t forget to see their Serving Ideas and Recipes page … there’s lots of good ideas there! 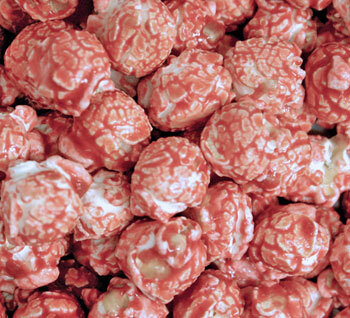 HR Poppin’ Snacks: You’ve had popcorn before, but have you ever tasted Vin de Mais? Translated, vin de mais means “wine of corn”, and that’s what this popcorn is. It’s wine flavored popcorn, available in your favorite wine styles like chardonnay, cabernet, merlot, pinot grigio, and more. Fresh popcorn and grapes are harnessed together in these unique snacks which will be a hit at any gathering featuring wine! The company also makes quite a few other specialty flavored popcorn varieties, and offers seasonal favorites and gift tins … check their website for all the details and to order! Made with pride in Omaha! It’s the sauce we’ve got pictured, JB’s Apple Cider Honey Mustard Sauce, which you can buy online at JB’s Fat Boy Sauce and Rubs website. The ingredients in this sauce are spiced up with just a bit of habanero pepper, giving it a little kick but not too much. 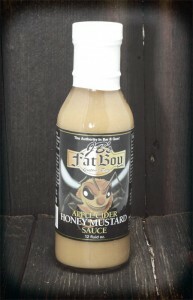 JB’s Fat Boy offers all kinds of other sauces, most notably barbecue, as well as rubs and spice mixes. A great gift for the chef or grillmaster in your life! 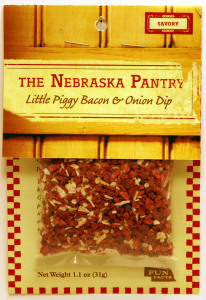 Big Red Popcorn: We saw this product at a store in Lincoln, NE and thought it was really clever, and a perfect Nebraska gift. It’s microwave popcorn on an actual ear of corn! Ears of corn are harvested at the Kehrli Farm in Schuyler and then air dried on pallets. After they dry out a bit, they’re packed in clear vacuum sealed bags and shipped. 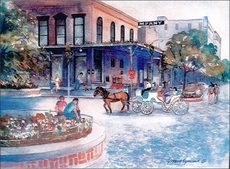 The photo shown is a print by Omaha artist Yvonne Eymann, who captures Omaha scenes like this one of the Old Market. 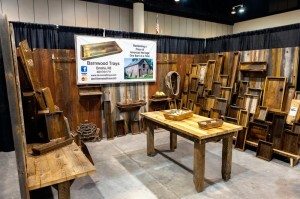 You can see many of Yvonne’s works right here, as well as beautiful Omaha scenes taken by photographer Rick Anderson. Any of the prints and photos can be purchased online … the perfect memento of a visit to Nebraska! 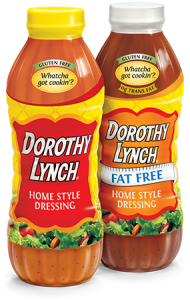 The dressing itself has a sweet and spicy taste. 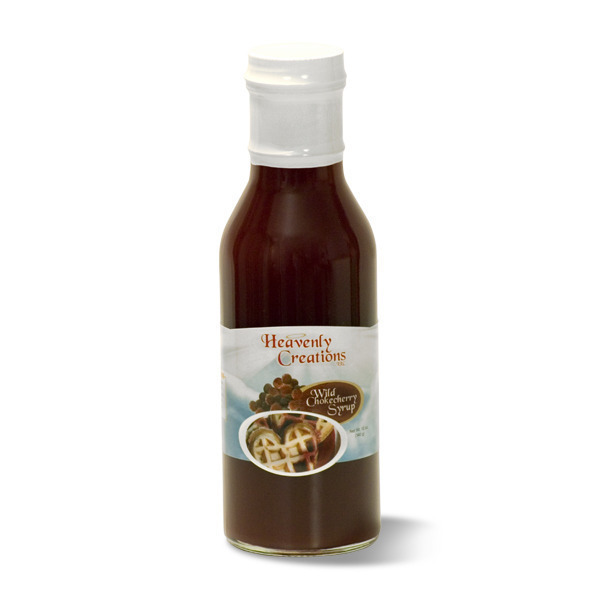 It’s tomato based and is an excellent substitute for ketchup or even barbecue sauce. 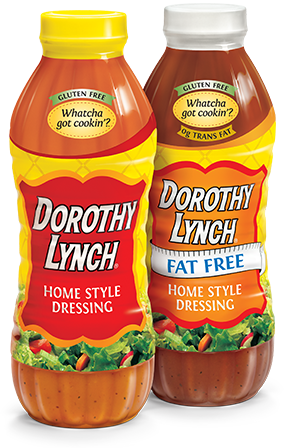 Use Dorothy Lynch’s it not only as a salad dressing, but as a marinade, finishing sauce, or dipping sauce. Ely Farms Pickled Asparagus: Ely Farms pickled asparagus is grown and packaged at the Ely Family farm in Grafton, NE. The business was established in 1999 and has since branched out to pickled bell peppers in addition to the asparagus. Ely Farms Pickled Asparagus has proven to be a very popular product. It’s excellent in stir fry recipes, as baked asparagus, and when added to soups. Chop some up and add it to your favorite salsa for a unique taste twist! The salsa she created was a smash hit, and soon thereafter friends and relatives encouraged her to package and sell her salsas. Now, Moody Girl Salsa is available in three varieties … mild, medium, and hot. Growing from a single location in Lincoln to over 35 restaurants in four states, Valentino’s is a Midwest original. We enjoyed a Valentino’s pizza the last time we were in Lincoln, and as Chicagoans we know a little about pizza. Our advice? If you’re ever in Lincoln, go there! If you can’t visit Lincoln, you can order Valentino’s Pizza online. After all, hungry University of Nebraska alums across the country order it every day. The pizza is shipped frozen and arrives at your door ready to bake. You can also order Valentino’s lasagna, sauce, and dessert pizzas too! Choose from walnut crinkle bread, caraway rye, rohlicky, and of course kolaczki with several different fillings. And if you’re ever in Omaha, stop by their Old Market location for a treat right out of the oven! You can use it just like a traditional mustard or even as a dip, which is how we first discovered it. 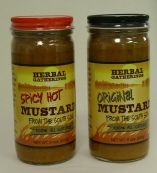 It’s great with pretzels or on a deli sandwich, and you can also use it to spice up chicken breasts … the Herbal Gatherings website has lots of great recipes as well as the ability to ship you either flavor of mustard. In this case, Barnwood Trays collects and reuses the wood from old unused or decaying barns and creates useful household items like coffee tables, trays, wine racks, and more. What a great, practical and one of a kind gift from America’s heartland!